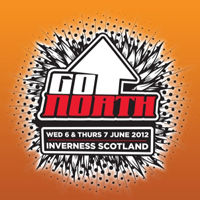 goNORTH 2012's workshop for those interested in breaking into the film and TV industry is now open for applications. f you want to break into film and television drama…then this is the course for you. This one day intensive training course consists of a series of practical exercises which will equip you with the knowledge, tools and experience to help you break into the film and television industry. Devised and tutored by industry professionals, the course focuses on entry level positions in drama production and specifically the role of the Runner. It’s very informal and a lot of fun too. Designed for people at the start of their career who have been trying to get a foot in the door and secure their first job, as well as those with a couple of credits looking to improve their professional practice and fill the gaps in their understanding of how it all works. Applicants should be available and actively seeking work in this field – sorry, this course isn’t available to full time students. Places are provided free of charge although successful applicants will be notified of payment details for a refundable £25 deposit to secure their place on the course. An application form will be made available shortly. Send goNORTH a note of interest here in the meantime, stating where you live. Priority will be given to applicants who are based in the Highlands and Islands. Deadline for aplications will be Thursday 10th May.